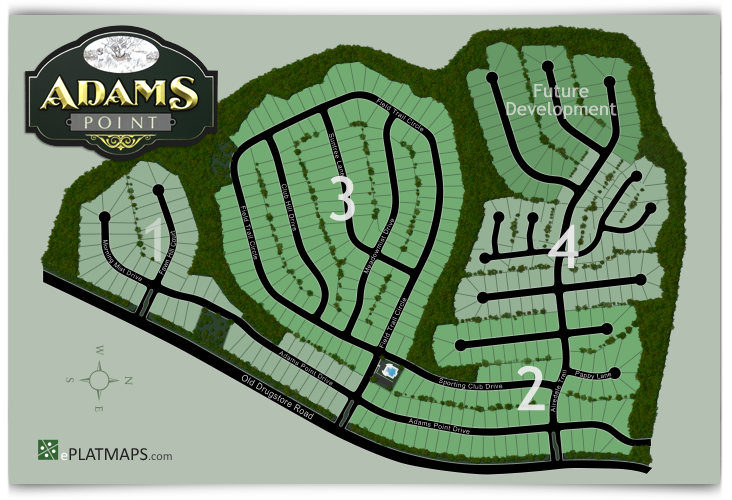 We created a custom overview map and each Phase map for this development. The Site Plan can be customized with more information and can link to each phase when active or link can be removed when the Phase has been Sold Out. Each Phase therefore has editor that can be managed by one or more personnel in the office whether they are in the field or in the office in real-time. Thinking outside the box. The client asked us to create Custom Artist Rendering that can be used in the Sales center as a large Poster format, on their website and also on brochures and flyers as well as be displayed on a TV screen, Computer, Tablet or Mobile device while also allowing their Office Manager access anytime to make updates to their lot information without having to contact a website developer. Allow Home Builders to add the Map to multiple websites while REALTOR® updates one map. I have been working with Don and Rita for over 10 years and they have helped me not only with our website presence but our marketing as well. I can tell you that if you want a "cutting edge" real estate business that delivers leads; talk to Rita - she can help you do just that. The interactive platmaps are very informative not only to potential buyer but other real estate agents, I have reduced my phone calls from other REALTORS® asking me the status of a particular lot by just telling them to go to my website for the latest information. Thus, allowing me to talk to more people looking to see a certain house they are interested in or even on some occasions put in an offer straight away. I am very proud to say that I have used ePlatMaps and paired it up with AgentCompanion™ to create not only an interactive map for Adams Point but many other new home developments in the area. I also receive calls from Land Developers and Home Builders who have contracted me and my team to market and sell their lots and homes directly due to my interactive maps on my website.